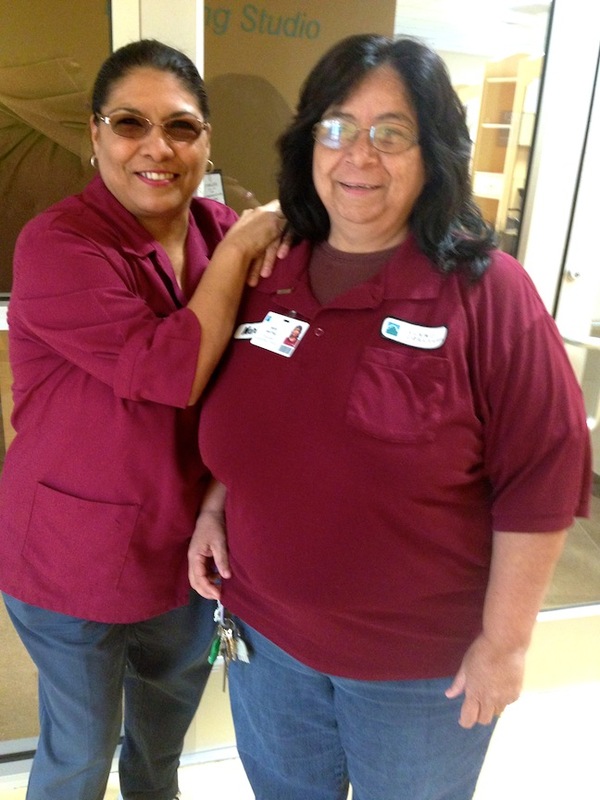 Dolores Flores (left) and Marie Martinez (right) two of Palo Alto’s custodians. Photo by Juliet Mendoza. The sun beams through crystal clear windows. Your reflection follows you on the shiny floors while walking down the hallways. Palo Alto College celebrates its thirtieth birthday this year, and our school looks brand new. Housekeeping staff and contractors work hard to maintain the college campus. PAC employees cover the East Side of the campus, and the West Side is contracted out to a maintenance service company. Working for The Alamo Community Colleges offers great opportunities, such as free classes on your own time, 75 percent off your children’s tuition, paid sick days, personal days, vacation time and medical benefits. The PAC custodians work morning shifts from 5 a.m. to 2 p.m. and afternoon shifts run from 1:30 p.m. to 10:30 p.m. Despite the great benefits, the job is stressful and the physical workload is heavy. Palo Alto custodian Alfred Ramos. Photo by Juliet Mendoza. Martinez enjoys working the afternoon shift, especially because she takes care of her blind mother who suffers from a bad back. Today, she is one of the most loved custodians on campus. She arrives early to work with a smile on her face, which gives you a warm-hearted feeling that she is happy to be here. She would be the kind of person you would run to if you were in some sort of danger. Martinez is responsible for San Jacinto’s second floor, Medina and the Student Center. 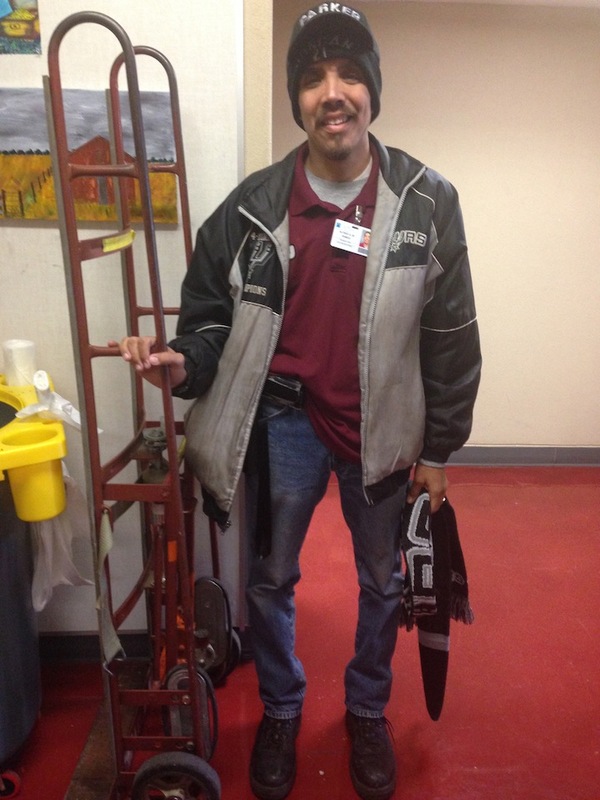 Another long-time custodian is Edward Galvan. His commitment to PAC is unquestionable. With 19 years of service in his field, Galvan works the afternoon shift and his area is the San Jacinto first floor and Gutierrez Hall. Palo Alto custodian Paul Ortiz. Photo by Juliet Mendoza. 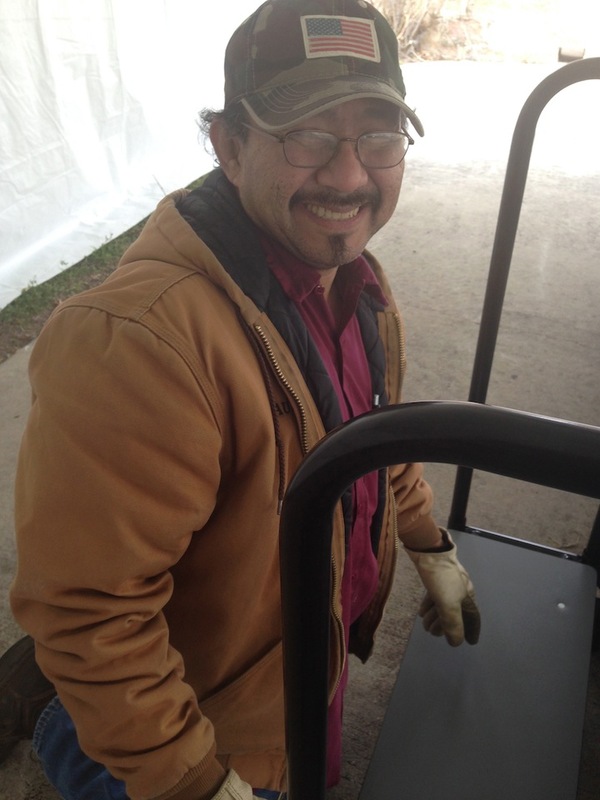 The PAC community thanks all custodians for their work to keep PAC beautiful: Abelino Castillo, Dolores Flores, Edward Galvan, Irene Garduno, Alma Mancha, Marie Martinez, Paul Ortiz, Alfred Ramos, Juana Siquina, Maria Solis and the McLemore contractors.